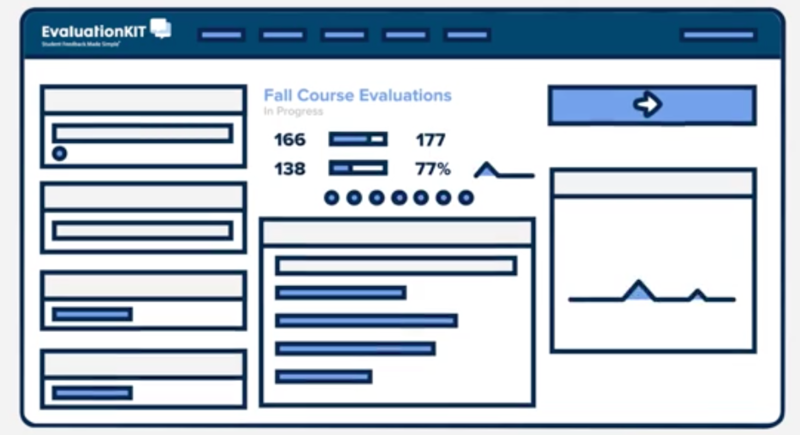 If you struggle with managing Departmental course evaluations every semester, EvaluationKit may be a tool that can help. The software is designed to create, manage and distribute your evaluations using enrollment information pulled from Moodle. Students are given access to their evaluation through an email or a link in Moodle and get reminders on a schedule you determine. Evaluations can be completed on a computer or mobile device. 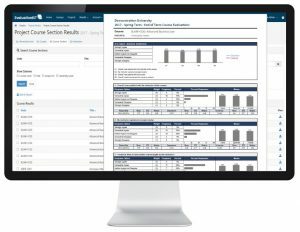 Instructors receive access to a dashboard where you can see current and past evaluations in automatically generated reports that break down results. Departmental Chairs can be given access to all, parts or none of the evaluation and whoever is administering the evaluations can see response rates at a glance. Results are archived on the site, but can be quickly exported to pdf. There are a variety of supported course evaluation products available at Swarthmore. If you coordinate course evaluations among courses, several departments on campus have found EvaluationKit has significantly reduced and simplified the work involved with this task. Contact Andrew Ruether (aruethe2), or Michael Jones (mjones1) for more information.